What a great day yesterday was, as Trusted finally launched it's mass media marketing campaign. Listen for our ads on these great radio stations Magic 98.3FM , WIRED , The BULL, CJWW , CFCR, FREE 100.3 and addtionally listen for our Trusted Busineses radio ads with the Trusted ' GIVEN THE THUMBS UP BY TRUSTED SASKATOON.COM' Tag on the end of their ad on all the Trusted Stations and on the 3 Rawlco properties of NewsTalk 650, C95 & Rock 102....Trusted is Up in the Skies , as we flash across the electronic billboards across the city...Look online for our Leaderboards on WIRED's website and on Saskhouse too! We are TWEETING..click here to become a follower ,or become a FACEBOOK fan here ..if you do you may WIN some stuff as we provide extra value with contesting and prizing! Check out WIRED on facebook here and find out how you can win $100/ week in a 4 week promotion they are doing to support Trusted and showcase Trustedsaskatoon.com to their listeners and massive 19,188 Facebook fans...oh and look around the city and you will see Trustedsaskatoon.com stickers on vans, trucks, trailers, shop windows & Doors as the Trusted business proudly display the fact that TOGETHER WE ARE TRUSTED. We research businesses that have a reputation for quality driven excellence in the Saskatoon market. We check various reference sources. We randomly survey clients provided by the businesses. We ensure any required licenses and insurance are up to date. All of the above is re-checked and verified on an annual basis. Trusted has a 'Mystery Shopper program' where we guarantee a minimum 10% of the Trusted businesses on the site will be randomly 'shopped' throughout the year, this is to ensure that the trusted standards and the 5 Trusted guarantees are upheld. If a Trusted business does not uphold the TRUSTED GUARANTEES they will be removed immediately from the site. So you can be assured you will be looked after by our Trusted Businesses!!! We will be telling you more about the Saskatoon Trusted businesses that were uploaded over the weekend asap..it is a BUSY time at Trusted..as we go around the city speaking to Businesses that wish to be Trusted...there is a chance to be Trusted even if you do not fit in to any of our categories..as we have different banner ads available on the site for GOOD businesses in other sectors/ industries ...we will only allow companies who have been fully checked out to advertise though ...even on the banners! 2 days to Trusted Saskatoon launch and more Trusted business listings go live! ALARM & SECURITY SYSTEMS, AUDIO & VISUAL, HOTEL, CONTRACTORS & RENOVATIONS categories. We are thrilled to announce the following listings have gone live today! The countdown is well underway to the media launch of www.trustedsaskatoon.com , the first Trusted website! On May 30th listen to your radios and look around the city , and you will see and hear us everywhere! We have 39 listings live today in 22 categories and more in the wings..we hope to have at least 32 categories represented with live listings by Monday..so we are BUSY! So who went live today and in what categories? WOW..we really are finding the BEST businesses in Saskatoon to promote..and that makes our job simple! Well, that's easy to answer...... their clients love them, their attention to detail is second to none and they are so enthusiastic about what they do. Each of the businesses on trustedsaskatoon.com have really appreciated what a great idea Trusted is , and more importantly how it suits/mirrors their own business philosophy so well...they all have high standards and are committed to upholding the 5 Trusted Guarantees every day. "Your one stop store for your perfect floor" ..that tag line has been used by Western Carpet One Floor & Home for some time in their advertising..and more than ever before it is true! The HUGE showroom will provide you with hour upon hour of looking at options if that's what you wanted....or if you prefer direction or have something in mind the friendly and helpful showroom staff will assist you with finding that perfect floor to compliment your home and life style. Any price range, all product categories, consultations in your home if preferable and an excellent fitting/ installation service by experienced, clean and careful staff makes this store an excellent choice for any one..something else that is new is their HOME DECOR side ( this section has totally taken over what used to house just the Flooring section previously till their expansion) ..and you MUST, MUST , MUST go an browse around there..you will find some brilliant bargains, stunning pieces, local art and funny knick - knacks for any home/ style.lots of 'wall stuff' ...not to mention handbags, jewelry and table top fireplaces!!! A true Aladins cave,and well worth a visit just for itself! Western Carpet One Floor and Home a FANTASTIC addition to the Flooring category in Saskatoon ..you can be confident that they will look after you like you were family. Find trustedsaskatoon.com on Facebook ..LIKE us and become a FAN by May 30th and you could wi2 x prizes of $500/each PLUS a $100 Gift card from The Keg for inviting your friends!! On May 30th the trustedsaskatoon.com media campaign will kick off in Saskatoon...driving people to the site and informing them about the trusted philosophy. ..in the meantime we will be uploading more and more trusted businesses onto the site in many different categories. 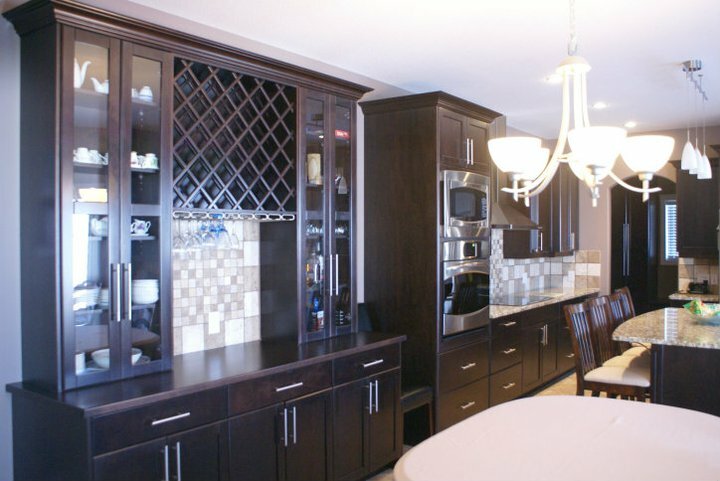 Last week KTS Custom Cabinets was uploaded as our first Trusted Kitchen listing..check out the listing here or go directly to their website here to see for yourself the great work that they do. Kevin Samms is the hard working, hands on owner and he does a great job for all of his customers..wether you want to 're-face' your existing kitchen cabinets ( which is a great cost effective & quick option if you are happy with the general layout of your kitchen and just want a different look) or if you prefer to invest in custom cabinetry....Kevin is the right man for the job, and he and his team are determined to provide the best option for you..with minimal fuss and hassle. If you want to see some more ideas, or prefer to feel the countertops and cabinet options for your self head up to their showroom on Faithfull Avenue opposite Visions, which is open from 11am - 5pm Mon-Fri.
Chris Paradis is our final Trusted Mortgage listing in Saskatoon...interestingly all of our Mortgage brokers are Ladies..and all of them are driven to provide the best possible experience and out come for their clients. Chris has the added bonus of also once being a successful realtor in the city, this gives her a great understanding of both sides of the purchase, so she is always one step ahead of the process on your behalf. For those clients that are perhaps new comers to the city from other parts of the world, she will strive to get you the best possible mortgage rate for your circumstances and has many many products options available to her. When the trusted team read through the testimonials from Chris's clients, it was obvious from their expression of thanks that she truly cares about each person that she helps...and that she will ensure that you are fully informed throughout the mortgage process. In here own words " Having lived in Saskatchewan all of my life, and working in the financial industry in this province for more than 20 years, I understand the financial needs and desires of the Saskatchewan people and businesses. Just as important is the sound relationship that The Mortgage Centre/ SKY Financial has, processing over $10 million of mortgage business per month with our many lenders; enabling us to assist our clients in meeting those needs and achieving their financial goals. I love this business! I find it challenging and, with the market place in a constant state of change, there's never a dull moment! " Welcome Chris Paradis and welcome Kevin Saams from KTS Custom cabinets..2 more TRUSTWORTHY businesses to be celebrated...don't forget to nominate your favorite businesses..we still have categories that are proving hard to find Trusted approved businesses! Trusted Saskatoon .com promotes the BEST ...those other directories just list the REST. The Trusted team are working around the clock to keep up with demand as the May 30th Saskatoon MASS MEDIA launch date gets closer and closer...we are seeing businesses everyday and filling up the categories daily..remember there are a maximum 3 in each category..as we know too much choice can be a problem too! We cannot WAIT to introduce you to all these AMAZING Trusted businesses ........we are honored to have them on our site..they are going to strengthen our brand and more importantly ensure that we provide excellent Trusted businesses for all of Saskatoon..at your fingertips! With all the media excitement a week or so has passed since JonesE, Decora Homes and Capelli came on the site..we would love to tell you why they were selected and what they have to offer you..funny thing they all have in common is that they are all married couples that are the owners! 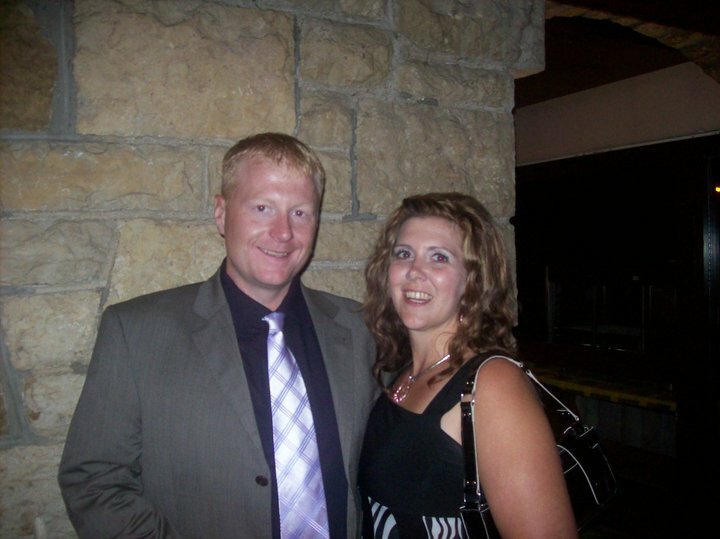 The owners of Jonese Scott and Karen Jones are simply outstanding individuals , and we are thrilled to have them on our Trusted Saskatoon site. Karen & Scott Jones all clean and posh! ...Wow ..2 great new Trusted businesses for Trustedsaskatoon.com ..and 2 more are up and live this week ...in a day or two we'll introduce you to the WONDERFUL KTS Custom Cabinets in Kitchen and the Lovely and Professional Chris Paradi s the final Trusted Saskatoon Mortage listing! Keep checking in we have ....oooooooo..20 or so more listings coming really soon! EXCITING times to be Trusted! We promote the best ..let the other directories list the rest!